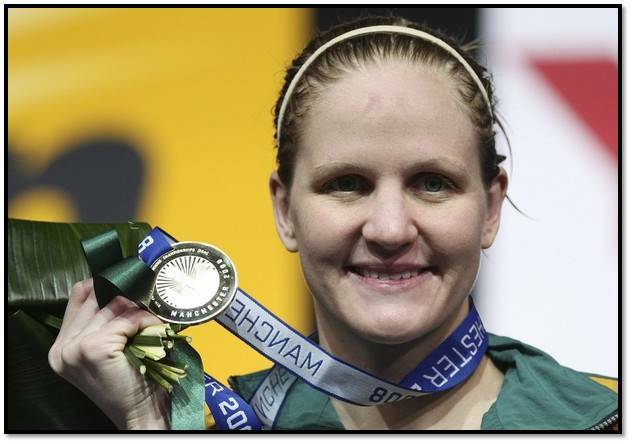 Kirsty Coventry won three Olympic medals in the 2004 Olympic Games in Athens becoming a darling of Zimbabwe winning hearts and friends along the way. As a result there were quite a few children in Zimbabwe named after her and the events she competed in! 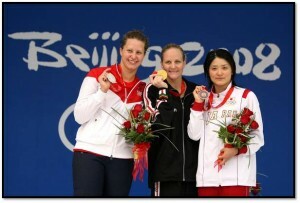 8 years later she’s at the Olympics again competing once again with the nation of Zimbabwe behind her. We were lucky enough to sneak an interview with her just before London’s Olympics start. All Things Jabu (ATJ): Firstly thank you for doing this interview with All Things Jabu. What are your interests these days outside of swimming? ATJ: Was going to Auburn University a big part of your success as a swimmer? KC: Yes. I believe I would have been a successful swimmer, regardless of where I did or didn’t go to university but my team mates at Auburn definitely made me work harder and I am grateful to their inspiration in helping me get to where I am today. ATJ: You’ve had some injury challenges in the last few months – do you feel like things are getting back on track for you now? KC: Yes, absolutely. When I dislocated my patella, it was very emotional. You have to wait to hear from the Doc what the damage is if any and this is terrifying being only 4 months from the Olympics. Thankfully, I was able to get some great rehab and after a while I could swim again albeit with my legs tied together and swimming in one spot on the end of a bungee cord! Great upper body workout! I had to make some adjustments to my plans for London and dropped one of my events, the 400IM. So I will now only be competing in 3 events. Just as I was overcoming the knee injury I got Pneumonia (in May). The worst part about this was the fact that I wasn’t very sick with it but still had to get complete rest for 10 days. Imagine lying in a bed, knowing Olympics was only 2 months away and whilst everyone else is training, you’re lying in bed. This can make or break you – I believe I came out of it more motivated than ever. 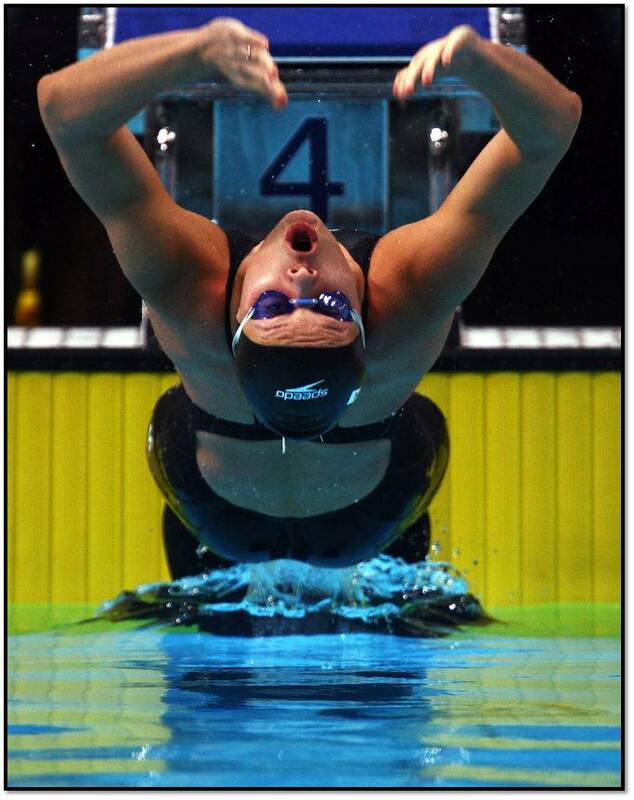 I have just recently swum in Paris – my first competition since the injury and it went well. I would have liked to have been faster but I bagged 2 Gold and just missed getting on the Podium in my last race. I’m now in Tunis, Tunisia and training is going well and I believe we are right on target. ATJ: Tell us a bit about your training schedule? KC: It’s hopefully slowing down a bit now. As we get closer to Olympics we will start tapering. This is a swimmers favourite time because it generally means we won’t be going in for 2 sessions of 2 hours each (followed by gym and running) on a daily basis (excluding your 1 day off). 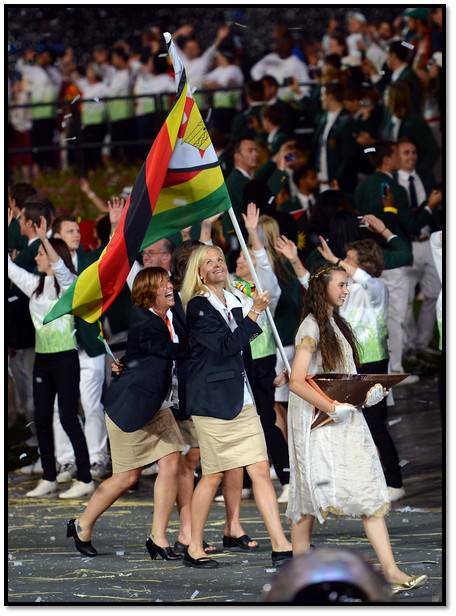 ATJ: Being one of the few Zimbabwean athletes at the Olympics do you feel that there is untapped talent in your country? ATJ: What was it like being a record breaking swimmer? Breaking your first one in 2008 must’ve been an amazing experience. KC: It’s amazing. All the physical work you have put in coupled with the mental preparation over the years has finally paid off. It’s completely rewarding. ATJ: Coming from Zimbabwe do you feel that sport can play a significant role in rebuilding the country? KC: I would like to think sport has kept us together when it could have been a lot worse. Will it play a significant role in rebuilding the country, yes but playing soccer all day, or holding swimming competitions doesn’t rebuild a country, its role is to provide hope, peace, and bring us together. ATJ: What are your aims at these Olympics? ATJ: What has been the highlight of your career thus far? KC: Overcoming a knee injury and Pneumonia and still feeling like I can do this. ATJ: What’s it like having so many kids named after you in Zimbabwe following your success in 2004? KC: It’s a wonderful honour and would like to meet them one day! ATJ: What are the challenges competing against the younger swimmers? How does your experience benefit you? KC: The biggest challenge is that these youngsters have got high levels of energy, they are able to recover faster which means they can enter into an event, rest a few and race another, without breaking a sweat. I’ve been there and didn’t recognise how important that energy is until now. Does it mean they will be faster than me, no. It just means I have to train and race smart i.e. ensuring I get enough rest between races or training means I will be able to race just as fast when I need to. ATJ: You’re one of the candidates for the IOC Athletes’ Commission. What role do you think you can play if you are elected? Will you have a Southern African focus? KC: Unfortunately I cannot comment on what roles I might play if elected. ATJ: Does the Athletes’ Commission have the power to make a real difference in sport? ATJ: Do you think that Southern Africa will ever get to host an Olympic Games? KC: Before 2010 did you ever think Southern Africa would ever host a Soccer World Cup? Ha ha. Yes, I do, we have all the facilities and more. ATJ: Thanks Kirsty, we wish you the best of luck in your London Adventure!